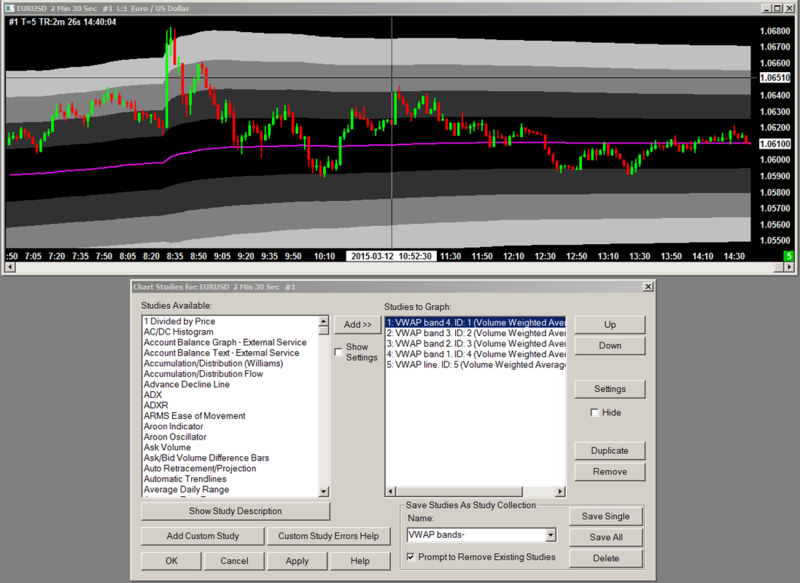 Here's a study collection using 5 instances of the VWAP to color 4 bands and also show the VWAP line. The shading of multiple bands cannot be done with one instance of the VWAP because of the order of the subgraphs, as each subgraph over-paints the one above. The over-painting is also true for the order of studies in the Studies to Graph list. To get around this with the VWAP study, each band is colored with its own instance of the VWAP study, in reverse order in the Studies to Graph list, so that the narrower bands over-paint the wider ones.